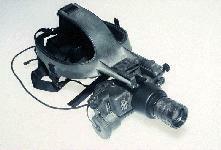 The AN/PVS-7 represents the current state of the art in night vision goggles. 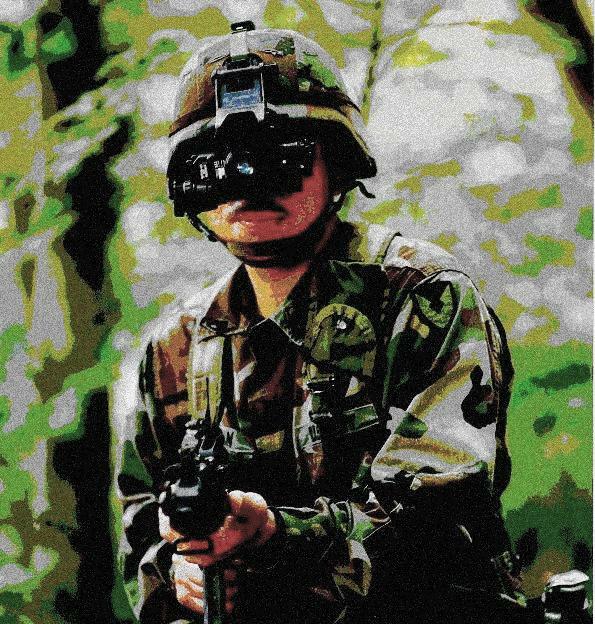 Initially, it will augment the AN/PVS-5 NVG, and over time, it will replace the AN/PVS-5. The Marine Corps is interested in procuring a clip-on Night Vision Magnification Device (NVMD) to satisfy the need to see targets at the maximum effective range of its weapons. The AN/PVS-7B is a single-tube night vision goggle, Generation III image intensifier which uses prisms and lenses to provide the user with simulated binocular vision. The Marine Corps is acquiring the AN/PVS-7B, a model which incorporates a high light level protection circuit in a passive, self-contained image intensifier device which amplifies existing ambient light to provide the operator a means of conducting night operations. A shipping case, soft carrying case, eyepiece and objective lens cap, and filter are ancillary items. A demist shield is also provided to prevent fogging of eyepiece. The AN/PVS-7D is a lightweight, high performance passive third generation image intensifier system. 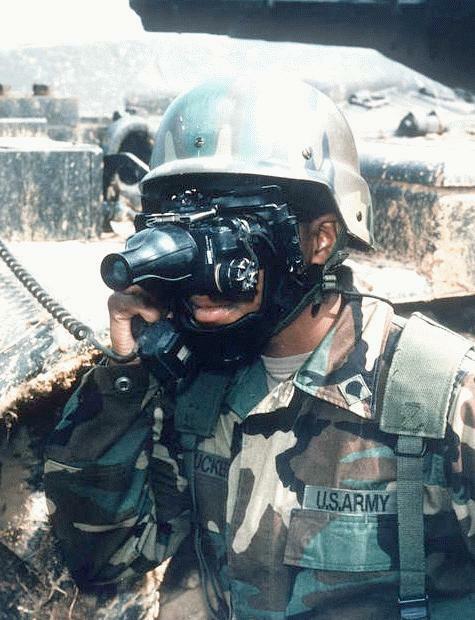 The goggle assembly is a headmounted self-contained night vision system containing one biocular unit consisting of an objective lens assembly, an image intensifier tube, a housing assembly, and a binocular eyepiece assembly. The housing is mounted to a face mask assembly which is held by head straps to the user's head. The assembly incorporates an infrared (IR) light source which provides illumination, to permit close-in-viewing. Fielding is five per infantry squad/battalion and 75 per Infantry company. The AN/PVS-7D is a single tube Image Intensifier systems which replace the earlier AN/PVS-5 binocular second generation image intensifier goggle. All AN/PVS-7D systems are presently being delivered with third generation tubes (MX-10130A). TRANSPORTATION CHARACTERISTICS / LIMITATIONS:	Weight = 680 g.
Dec 85	Five year multi-year production contracts awarded to ITT/Varo Joint Venture (AN/PVS-7B) and Litton (AN/PVS-7A). Feb 88	Initial fielding to 7th ID Ft. Hood. Feb 89	Life Cycle Cost Study indicated no preference for AN/PVS-7A over the AN/PVS-7B. Mar 90	Three-year Production contract awarded to ITT and EOS. Nov 92	Five year multi-year production contracts awarded to ITT and Litton. Dec 93	First delivery under OMNIBUS III Contracts. REQUIREMENTS DOCUMENT: TRADOC ACN 36829, 21 Jan 82. TYPE CLASSIFICATION: Standard approved Feb 88.